Wonderware Industrial Computers allow organizations to break free from proprietary hardware and functionally weak graphic interfaces. The Series D, InTouch Panel PCs are solid-state and offer more screen sizes, screens and boxes which are interchangeable across both product lines. This enables standardization on one common and powerful visualization interface for machine level applications and supervisory Human Machine Interface (HMI). Forward thinking standardization helps fully leverage engineering investments, shorten development cycles, bring more value to users and lower overall costs. Factory-tested, certified and ready to work right out of the box, Wonderware InTouch is the world’s favorite HMI software and is used in over one-third of the world’s industrial facilities. With Wonderware Industrial Computers, you benefit from pre-installed Wonderware software on a selection of rugged, versatile, feature-laden hardware solutions. Use powerful Wonderware software across all your plant devices for superior scalability and flexibility to help you lower your total cost of ownership. Break free from functionally weak, proprietary and closed hardware products and experience the power and freedom of an open and fully functional PC based or Windows Embedded Standard -based HMI. Choose Wonderware InTouch Panel PCs, pre-installed with Wonderware HMI software. Replace your old, proprietary, stand-alone hardware terminals with powerful, networked, Windows Embedded-based InTouch applications that fully integrate across your supervisory control and plant intelligence applications. Ordering Made Simple – Just One Number to Call for Support! A fully-modular construction makes modifying and servicing our new family of InTouch Panel PCs a real breeze. They come as one complete and integrated hardware and software solution and feature Wonderware InTouch, the industry standard in SCADA, networking and ERP. This enables you to service and upgrade them easier, reduce inventory, and decrease lead time. Standard and Premium Series – Simplifies Integration of Disparate Systems Wonderware combines a fully functioning computer with award-winning Wonderware HMI software. We give users the freedom to easily and economically replace proprietary panels that offer few features and functions with powerful and rugged touch panel computers and Wonderware InTouch software. Wonderware InTouch Panel PCs empower industrial personnel to significantly reduce the problems associated with integrating disparate machine-control and supervisory systems. This is because both systems can now run the same InTouch HMI software. Eliminate the need for training on different types of HMI software and lower software administration and management costs by replacing existing equipment with Wonderware InTouch Panel PCs. Downtime, whether scheduled or unscheduled, can be costly to an operation’s productivity and efficiency. Returning an automation system back into service quickly is important to maintaining KPIs and production quotas. InTouch Panel PCs Series D HMI systems are easily replaced by customers in the field, enabling high productivity with the least amount of downtime and disruption. And, just as important, is the reduction of spare parts inventory in the supply chain - which equates to less capital invested, easier maintenance and higher availability and uptime. Reduce costs by expanding the use of Wonderware HMI software throughout your organization. 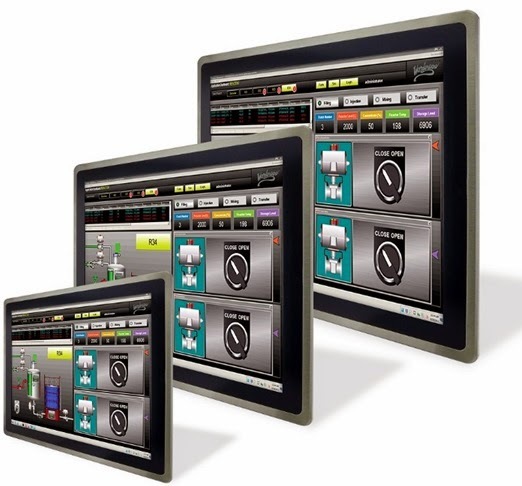 Engineers and operators already familiar with the InTouch HMI can leverage that experience, engineering investment, and training across the entire range of Wonderware InTouch Panel PCs. First-time users will love the power and ease of use of Wonderware software that comes pre-installed! 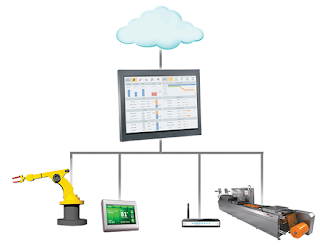 Wonderware software as a standard across all of your HMI systems. Enables users to select their version of InTouch upon first bootup. It will then automatically install the software without any additional user interaction.